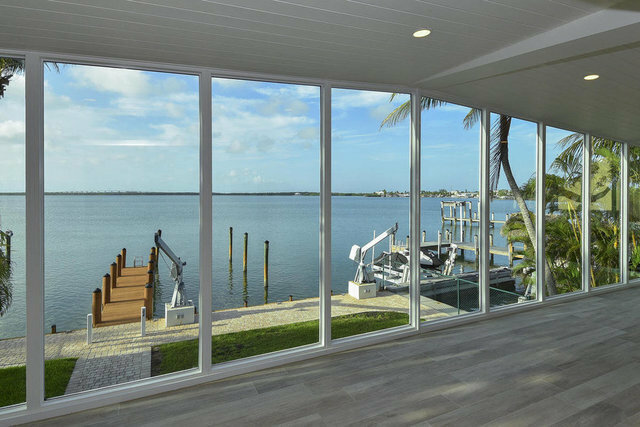 Residential - Single Family - Key Largo, FL Pristine, totally remodeled, gated bayfront with deep water dockage, minutes from Ocean Reef Club. Concrete construction with concrete roof, impact windows along waterfront, conforming downstairs entertainment rooms with enclosed garage, covered patio, paver driveway and walkways. Security system, Nest AC controls, Blue Pearl Granite countertops, element induction cooktop, 4 HD wall mounted flatscreen TV's, lawn irrigation system, mosquito mist system.Easy to show by appointment.